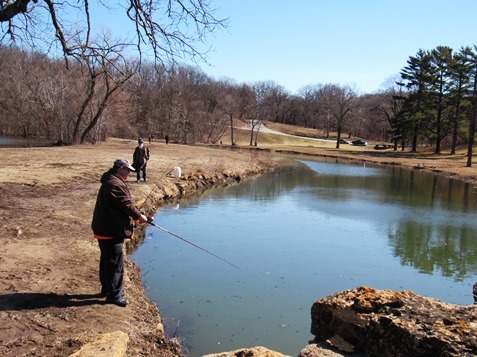 Beautiful weather for opening day at Wyandotte County Lake – Welcome to Wyandotte Daily! 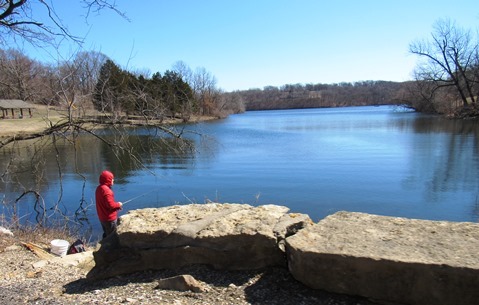 Opening day at Wyandotte County Lake Saturday saw nice weather and good fishing. 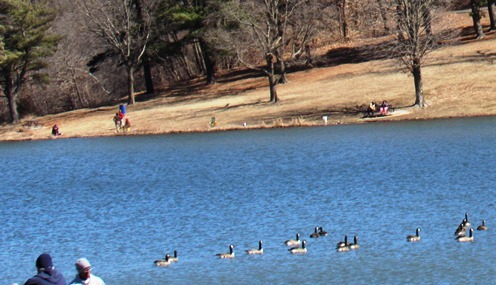 Temperatures were projected to rise to the low 60s this afternoon, giving a springlike quality to the day. 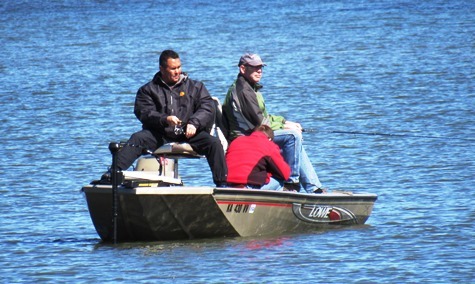 At the marina at the lake, the Leavenworth Road Association was holding its annual biscuits and gravy fundraiser breakfast, and it was busy, according to Lou Braswell, LRA executive director. They didn’t run out of food, but they had just the right amount for the hours they were scheduled to be open, she said. She added she liked the upgrades and improvements at the café at the marina. 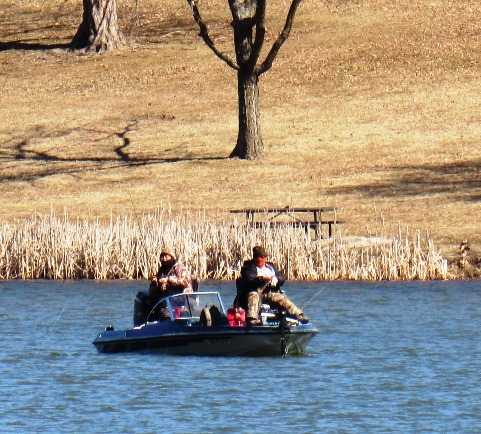 “Most came in and said they caught their limit in fishing, that the fish were really biting today,” Braswell said. 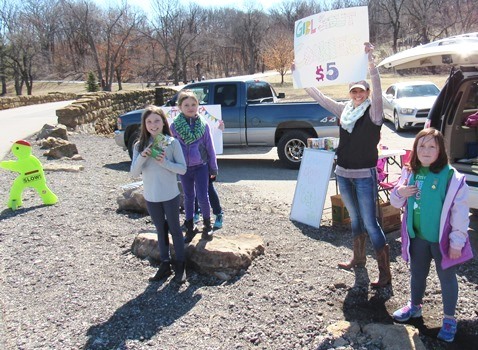 Around the lake, several boats were on the water, and in front of the administration building, a Girl Scout troop was promoting the cookie drive. 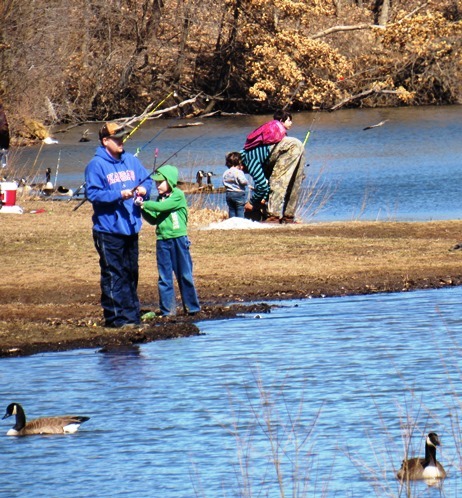 Many families were enjoying the day at the lake. 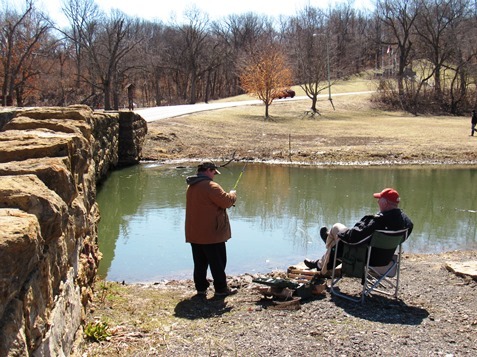 The lake was recently stocked, and permits are required to fish there. 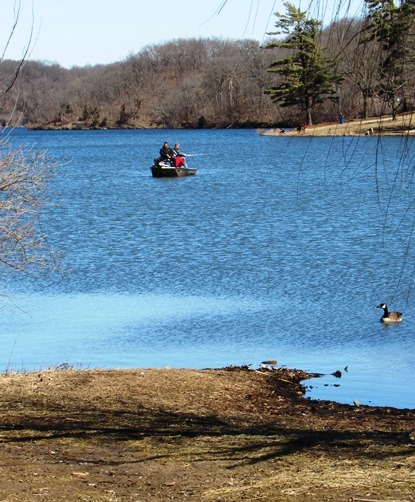 The original opening date for the lake, March 2, had been delayed because of ice on the lake. 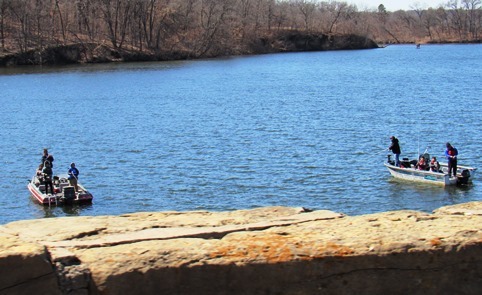 It appears that March 16 was lucky for the weather, as there is a chance of snow in the forecast for Tuesday and Wednesday of the coming week. 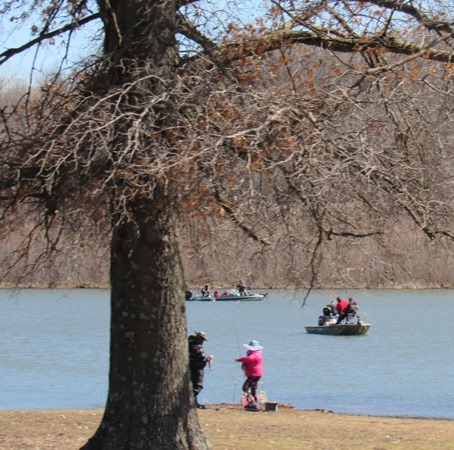 Fishing from boats was a popular activity on Saturday at Wyandotte County Lake.